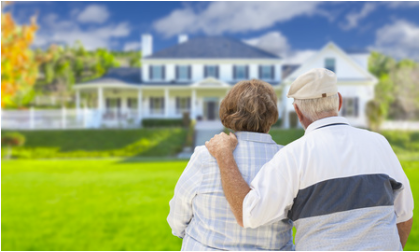 Independent Living – These are typically apartments or condominiums that are exclusive to seniors of a minimum age. They may or may not offer group amenities such as club houses or community rooms, recreation, planned socials or meals. Residents are active, mobile (walkers etc. are usually fine) and interested in peer group interaction and socializing. Some properties call themselves senior apartments or retirement communities and usually operate on a monthly rental basis. Continuing Care Retirement Community (CCRC) – Continuing care retirement communities (and the similar life care communities) offer a “continuum of care”. Usually on the same campus they will provide independent living, assisted living and also skilled nursing services so that residents may remain with their friends and familiar surroundings even if they need additional care. CCRCs and life care communities involve a contract and guarantee a lifelong residence. Most require residents to meet health and financial requirements and include substantial entry or “purchase” fees in addition to the monthly fees. Assisted Living – Assisted living communities offer a variety of combinations but usually include residential housing and offer levels of personalized supportive services such as medication monitoring and help with activities of daily living (ADL) such as bathing or housekeeping but do not include skilled medical care. Many of the homes that categorize themselves as “assisted” also provide the varied activities, socializing and benefits of independent living arrangements. While assisted living is usually on a monthly rental basis there may also be a moderate one-time entry fee. Skilled Nursing – Skilled nursing homes are licensed by the State Department of Public Health to provide medical services that do not require actual hospitalization. Sometimes called convalescent or rehabilitation hospitals, these homes can provide recuperative services after surgery or illness. Some accept Medicare or Medicaid. In the case of a life care community, this would be an included service. Alzheimer’s & Dementia Care – Many types of senior communities include a secure environment, trained staff and special programs designed for the particular needs of Alzheimer’s and other related memory disorders. In addition, there is an increasing number of separate homes dedicated exclusively to seniors with memory impairment. Residential Care or Board & Care – Usually a single-family home, with probably no more than six residents, licensed to provide a close, supportive environment that approximates family-style living but includes personal assistance. Special services offered might include hospice, non-ambulatory or dementia care and care for persons with special needs such as diabetics.